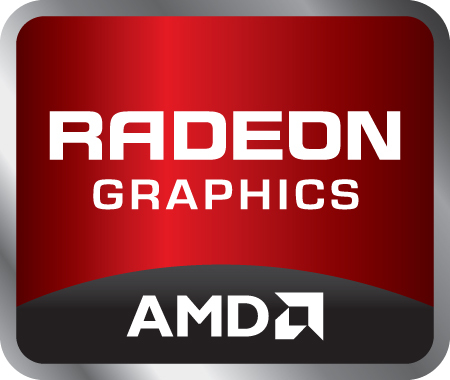 The AMD Radeon R5 M240 is an entry-level DirectX 12 graphics card for laptops, which is based on the Sun GPU (GCN architecture). The core is clocked at up to 1030 MHz and the DDR3 graphics memory runs at 900 MHz (64-bit interface). Compared to the Mars chip (e.g. HD 8570M), Sun offers less hardware units. The GPU integrates 320 shaders, 20 TMUs and 4 ROPs and is therefore located in the low-end segment. According to our benchmarks, the GPU beats Intels HD Graphics 4600 and performs similar to a Nvidia GeForce 820M. Current and demanding games of 2014 will run fluently only in low resolutions and detail settings. The 320 shaders can be used with OpenCL 1.2 for general-purpose calculations (as 5 compute units). Compared to old TeraScale 2 chips, the GCN-based architecture offers improved performance in this framework. The R5 series also supports automatic graphics switching between the integrated GPU and discrete GPU. Called Enduro, the technology supersedes AMD's Dynamic Switchable Graphics and is similar to Nvidia's Optimus. Furthermore, the Radeon can directly support multiple monitors using Eyefinity technology. Other features of the R5 series include ZeroCore for reducing power consumption when the display is turned off and Power Gating to power down areas of the chip that are not used. PowerTune allows automatic overclocking and underclocking of the graphics card as long as the GPU is within its TDP limit. For example, the chip may be underclocked when running FurMark and OCCT, but will overclock in certain games. The power consumption should be somewhat above the R5 M230. As a result, the R5 M240 is also suited for small subnotebooks.